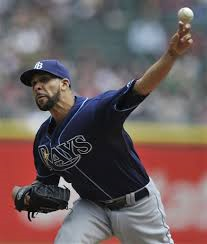 David Price: Is he the final step? Look, I really believe the Tigers did the right thing by trading for David Price. It is the type of thing that puts organizations over the top. The A's did raise the stakes. So did the Angels. But center field could be an issue with Austin Jackson gone. It will be interesting to hear what they say about it when this game is done. I'm not buying it will be as easy as putting Ezequiel Carrera there. Yes, he does have speed. He is having an excellent season at Toledo. Yet, he is also a 4-A player with a minus defensive WAR in nearly a full season in MLB, and just a 0.6 WAR overall. Even when he is struggling, Austin Jackson is a better player than that. There is an element about Carrera that is exactly like Quintin Berry. Fair warning. 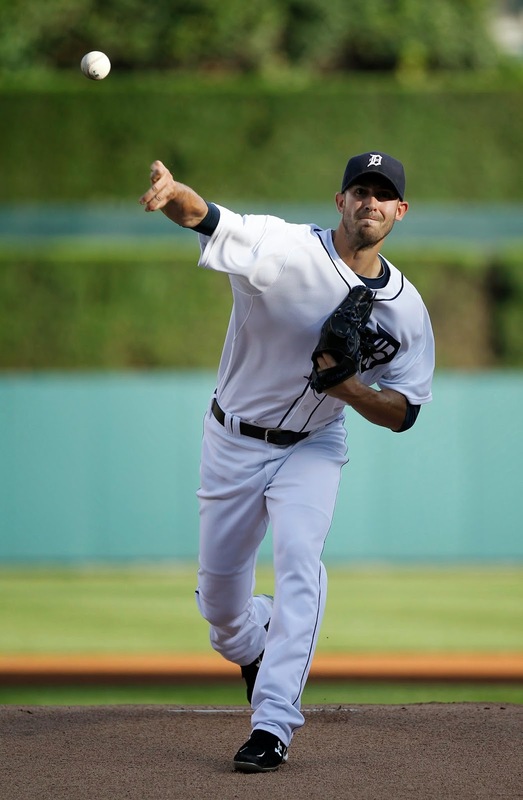 The particulars have yet to be sorted, but it appears the Tigers have acquired David Price. It is also apparent Austin Jackson, who was pulled from Thursday's game, is going as part of it. - This makes sense, not only for this year, but next if Max Scherzer leaves as a free agent. 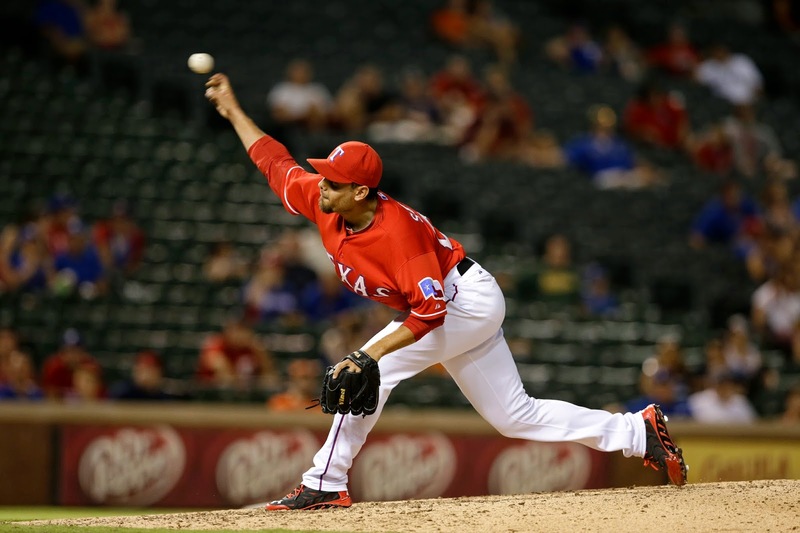 Price is signed through next year and is one of the top handful of pitchers in the game. This could seal the deal. - If Drew Smyly is in the trade, it still leaves a hole in the bullpen. - The Tigers had to make a decision on whether to sign Jackson long-term sooner or later. They evidently made it sooner. He has been a solid, but inconsistent. He has not become the star his stellar 2012 season suggested he was becoming. A change of scenery might be good for Jackson, who is just entering his prime. - Billy Beane forced Dave Dombrowki's hand on this by being so aggressive. But that, actually, could be a good thing for the Tigers. - The move by Billy Beane was amazing. The signing of Yonis Cespedes out of Cuba signaled his way back into contention, and a different method from "Moneyball." These trades signal (getting Jon Lester especially) how he is going for it. Guess he has finally had enough of hearing about his lack of success in the postseason. Guess we're not going to hear anymore from him about how the playoffs are a crapshoot. He is overturning each stone. - I do expect the Tigers to do something today, and it might even be a big splash. Beane and the A's have put pressure on Dave Dombrowski and the Tigers to react. 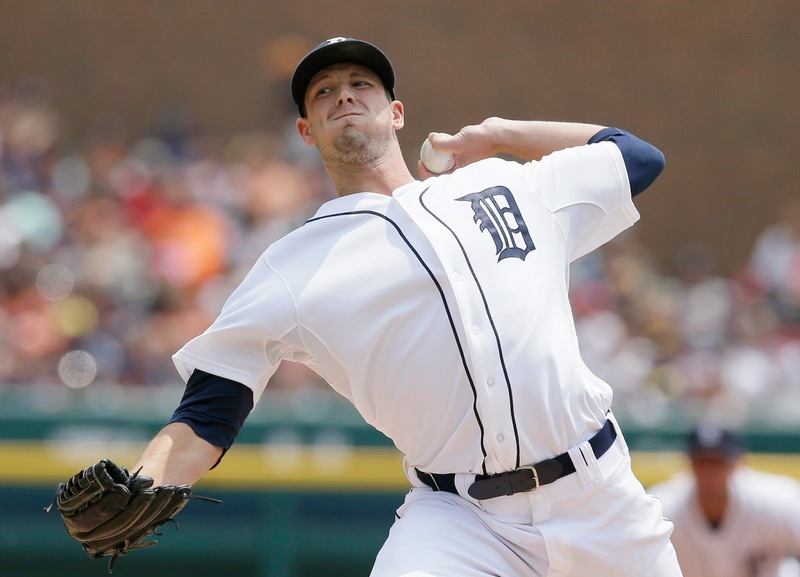 - This has been a good outing for Drew Smyly. He is nothing else if not poised. 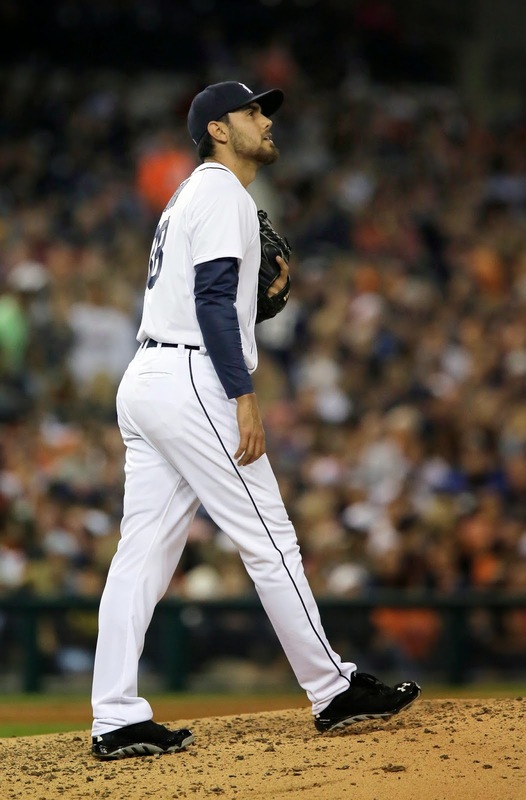 His value to the Tigers as a starter or reliever can't be overstated. He is better than the numbers indicate. - Torii Hunter has essentially lost all his tools except one - his power. It might be why this season isn't the swan song for his career despite Sabermetrics numbers which suggest so. There are a lot of reasons is this game has turned out to be a disaster. The biggest, obviously, is Soria's awful performance. It was weird. He had nothing on his pitches. His fastball was flat, but his slider was particularly ineffective. Adam Dunn hit an 84 mph pitch a mile. It didn't move. Must have been a bad slider. I would hope so. I don't if it will mean much about Soria in the long run, but it should be remembered the one thing he really hasn't done in his career is pitch under the pressure of a pennant race. He didn't react well to it tonight at the key moment of an important game. - The Tigers' base running is starting to become a problem. Eugenio Suarez was picked off first base in the last two games of the Angels' series, and Andrew Romine tonight. There is no excuse for it. None. Especially considering how much the Tigers have been struggling offensively since the All Star break. - Home plate umpire Clint Fagan's strike zone is all over the place. His call for a strike on Adam Eaton on Anibal Sanchez's change up in the fifth inning was brutal. Oh, and by the way, that FOX track box is off center tonight. Gosh, it's inaccurate. - Yeah, the Tigers need J.D. Martinez's bat to wake up. It did with a triple. He has great power. He is one of those rare hitters who drives extra base hits, even if he doesn't center it perfectly. I think his recent slump was an aberration, not a trend. - We'll see about Anibal Sanchez. He's been OK tonight, but the sixth and seventh innings have been his Waterloo recently. Will it be different tonight? - I don't know what's more amazing, the Tigers have nine hits off a tough lefty, Jose Quintana, tonight in just five innings, or they only two runs to show for it. On Ndamukong Suh, the Detroit Lions and the concept of "we" vs. "me"
If the announcement "shocked the world" it should not have. The Lions would make Ndamukong Suh the highest paid defensive tackle in the NFL. They would top the 5-year, $55 million deal the Bengals gave Geno Atkins. They have tabled their contract negotiations with Suh simply because the process isn't there. The distraction reasoning given by the Lions' brass? Yeah, like it isn't still a factor. It doesn't matter what the Lions offer Suh short of the ridiculous, it's clear he isn't going to sign it. It has always been the case. A) After getting to 6-3 and appearing ready to make a playoff push in 2013, the Lions collapsed and missed the playoffs. B) When it became time for the Lions to sign Suh to an extension this off season and be in really good shape for the future, Suh not only didn't sign, he didn't negotiate. Suh is about attention, from the talk about being "a once-in-a-generation talent" from his past representative, and the marketing of him as a brand name. It's tied at 3-3 for Suh's reality TV show and Pro Bowl appearances. 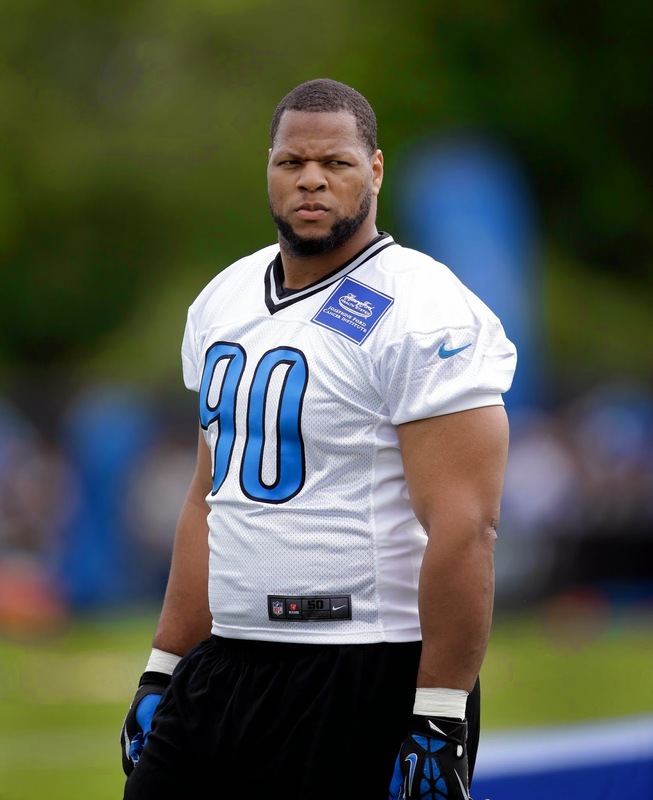 Ndamukong Suh: About "me" not "we"
What is a bigger coup for Suh than unrestricted free agency? It'd be a marketing and financial bonanza for him. He could upgrade from "The Choice" and "Splash" to "The Bachelor" and "Dancing With the Stars." Can you blame him? Well, it depends. It is turning his back on the Lions and subsequently their fans. It held back the team greatly in free agency this off season. It leaves the franchise holding the bag with nearly $10 million in "dead" salary cap money in the future, if Suh, as expected, leaves. It shows the importance of this season for the Lions. They will have Suh, Stafford and Calvin Johnson in their prime likely for the last time. They have plenty of good parts around them. You have to admire Suh in a way. People talk about the NFL like its a "team" game, but ultimately it's a "me" game. There is enormous risk for players. We've heard a lot lately from past players about that, and how they feel duped. It is the most brutal of all team sports by its very nature. On the other hand, Suh is vastly overrated and overhyped. He is an excellent defensive tackle, arguably the best in the game since Atkins, who has been far more productive, was hurt. But he hasn't transcended the limitations of his position and been a truly impactful player since his rookie season. The idea of him as a marketing icon and receiving QB money at this point is laughable - unless he plays this season like he did as a rookie. The Lions desperately need that from Suh in '14. The NFL is the ultimate "live in the moment" league. At this point, who cares about '15? Especially for the Lions, it's all about now. A ball at Lakeland at 20 (3.2 years younger than average age of player in the league) is a sign of a high ceiling. I also would have put Corey Knebel in my Top 5. He has a good arm, a big curveball and a bit of a quirky motion. It's possible he will be solid a big league closer down the road or a good late-inning guy. But Soria, even though he has never closed for a contender, should help the Tigers immensely. He is missing a lot more bats this season. If he's not the Tigers' closer, eventually replacing struggling veteran Joe Nathan, he definitely will help the late-inning match up game in the postseason, which is so important. His contract his reasonable. There is a club option for $7 million next season with a $500,000 buyout. As for the planning part, the window of opportunity will never be wider for the Tigers. There is no dominant team in MLB this season. 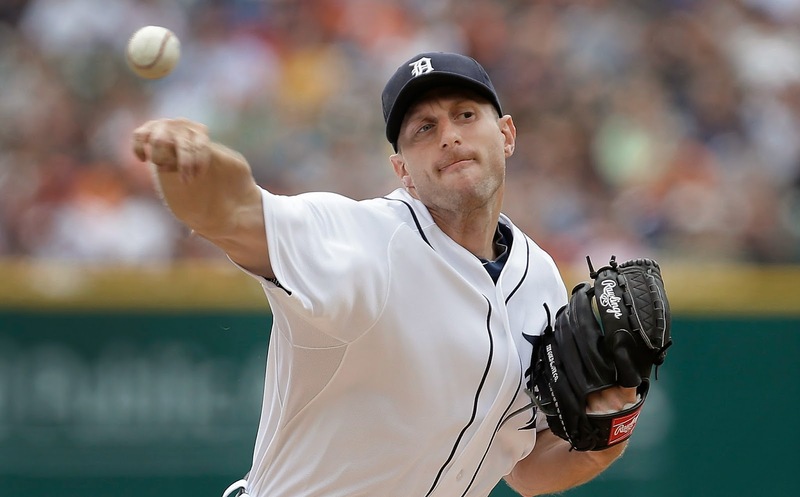 Max Scherzer is about to become a free agent, Miguel Cabrera and Justin Verlander aren't getting any younger, Certainly Victor Martinez and Torii Hunter aren't, either. Sure, ultimately this trade could come back to haunt the Tigers. We all the John Smoltz deal in this town, right? Chances are it won't, though. The idea for teams is to get in a position to be able to go for it. I can't blame the Tigers for doing so under the circumstances. Actually, I commend them for the deal. No risk, no reward. 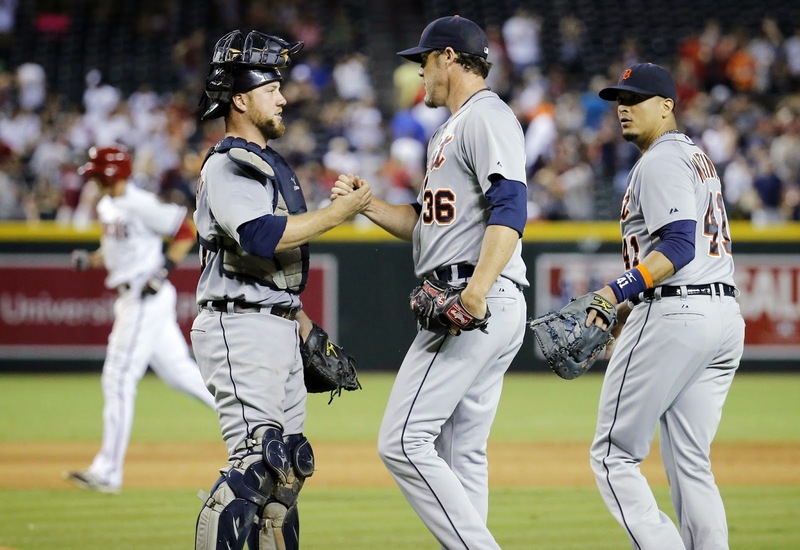 It went just fine for Joe Nathan and the Tigers Monday at Arizona. 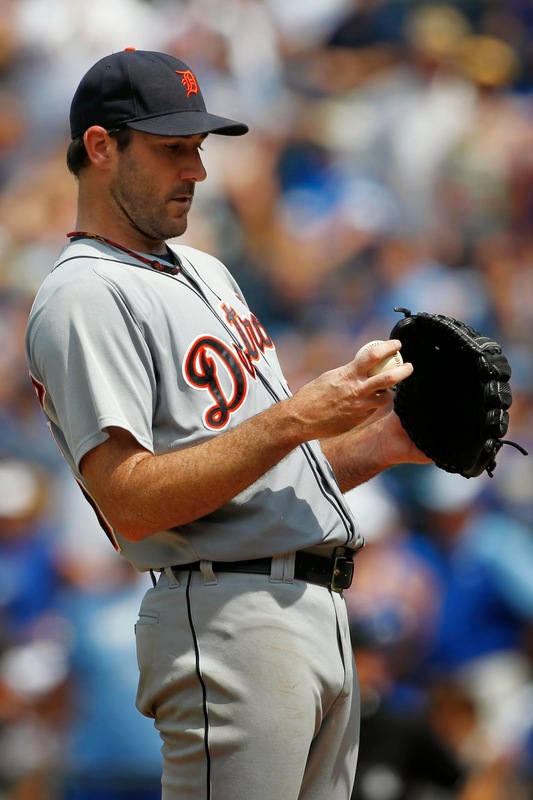 The Tigers' bullpen set up perfectly to protect starter Justin Verlander. Al Alburquerque got Arizona's best hitter Paul Goldschmidt to ground into a force to get out of a jam in the seventh, Joba Chamberlain and Nathan pitched the scoreless eighth and ninth innings, protecting a one-run lead and preserving the Tigers' second victory in a row. Cleveland lost. The Tigers are now back to 6 1-2 games up in the AL Central again. ﻿﻿But, honestly, do you envision that bullpen holding up that way in the postseason against the A's or the Angels or the Orioles or the Blue Jays or the Yankees or the best of the National League? I don't.﻿﻿﻿I think this weekend at the Angels will be telling, especially in regard to their bullpen with Huston Street compared to that of the Tigers. In my opinion, the Tigers definitely need an insurance policy for Nathan. He's a "maybe" and a "perhaps" at this stage. He might get it done. Then again, he might not. It's kind of like a game of chance. ﻿﻿The Tigers shouldn't be fooled by one night, or a couple. They need to add as much "certainty" to the equation as possible. - Drew Smyly appears back on track today. His command is very good. His breaking ball is better and he is setting it up well by spotting his fastball. A very good outing when the Tigers needed it most. He did a terrific job of pitching out of trouble in the sixth. - The home run by Torii Hunter was big. It gave the Tigers a little bit of a cushion and could serve to take some pressure off their bullpen. It was also the first time in this series the Tigers have slugged the ball at all. 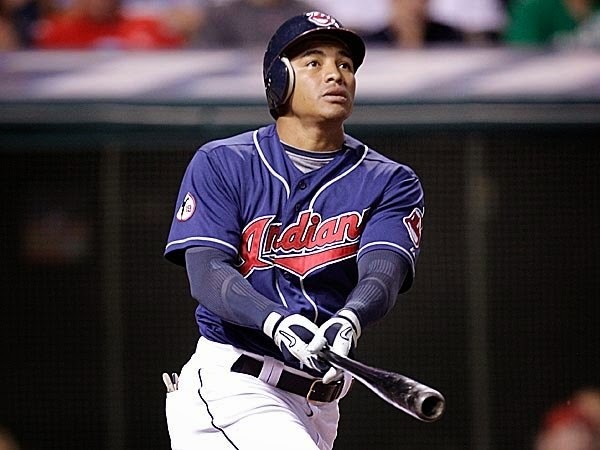 Cleveland beat them decisively with the home run ball in the first three games of the series. - When runners are on second and third with two outs, the Tigers need Miguel Cabrera to produce. His strike out to end the fifth might prove to be costly. the Tigers could used the extra runs, again, given the current state of their bullpen. Hey, great for Derek Jeter, but what about Tram and Lou? It was a touching tribute to Derek Jeter last night at the All Star Game. I couldn't help but think, though, he was a 10-year-old kid in Kalamazoo in 1984 when the Tigers won the World Series, and how Alan Trammell and Lou Whitaker have been discarded by baseball history. Jeter will be a first ballot Hall of Famer. A slam dunk. Yet, in terms of WAR (Baseball-Reference.com version), he is just slightly ahead of Trammell (93rd all time at 70.4) and slightly behind Whitaker (77th all-time at 74.9) among all-time great MLB players. Jeter is 87th all-time at 72.1. It does make you wonder if Tram and Lou played in New York, how different the perception of their careers would have been. Jeter is going to get a monument at Yankee Stadium. Tram and Lou can't even get a statue at Comerica Park. Whitaker didn't even get named on the necessary five percent of ballots to remain in consideration after his first year. Trammell doesn't even close each year. Sure seems like an injustice to me, especially when juxtaposed to the iconic status Jeter has, justifiably, been given. Justin Verlander's velocity is significantly down. And mot of his pitching statistics, across the board, are up. Verlander is 31. He has thrown so many pitches down through the years as kind of the lone "workhorse" remaining among MLB starting pitchers of his era. Does it mean his career overall is on a downward track. I'm not so sure. Roger Clemens, Randy Johnson, Bert Blylevin, Mike Mussina and Curt Schilling are among the many top MLB starting pitchers, who had their struggles in their early 30s, either in regard to effectiveness or injury, and bounced back strongly. They weren't necessarily changed pitchers from fireballers to soft tossers, either, after they slumped at a certain age. I don't know if the core surgery Verlander had this off season is a culprit for his drop this season in comparison to the 2014 postseason when he was incredibly effective. It does seem like every thing about the way he pitches these days is out of whack. His location with his fastball is way off. There is little snap with his breaking ball. His changeup doesn't look like the same pitch. It's more than lack of velocity, which seems to be more of a case of aiming the ball for accuracy because of lack of command. If there is no arm- or shoulder related injury, I do think Verlander will bounce back. But there is no denying his lack of effectiveness. A 4.88 ERA? Yeah, Verlander struggled last season with a 6.48 ERA in May, but his ERA at All-Star break was 3.50. Verlander didn't rack up high strikeout totals last season, either, although he reached double digits twice in his final two regular season appearance, in only six innings, each for the first time since May. Maybe we'll see a repeat of last season, but it's certainly no given. It would be naïve to believe this is a repeat of last season. It's clearly worse. - I thought it was a terrific play in the fifth inning when Rajai Davis, on second base with nobody out, stole third. That's when the running game and stealing third base can really come into play. The move didn't work, though, when Austin Jackson struck out and Ian Kinsler couldn't get the ball to the right side or out of the infield, and Torii Hunter bounced out. More times than not, though, that type of aggression will work for the Tigers with Davis, Kinsler or Jackson on the bases. - The days of Matt Kemp being a truly great player appear to be over. Max Scherzer retired him remarkably easily to end the sixth inning with a runner on third. His OPS is under .800 and his WAR is minus 0.9. He has looked slow and lumbering in the field. Thing is, Kemp isn't even 30. 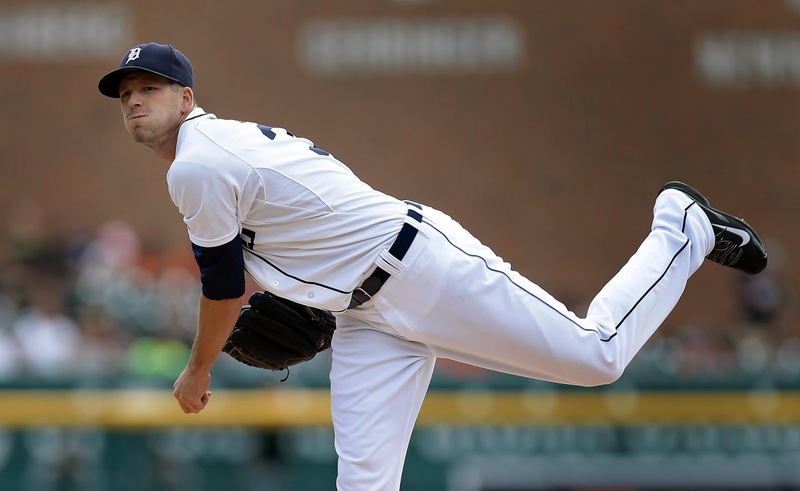 - It's been awhile since the Tigers' bullpen has been tested in a really close game. It will be today. Will it pass? I have to be honest, I'm not so sure. Scherzer threw 101 pitches through 7. Don Kelly had a two-out, RBI single during the first inning Wednesday off Dodgers' starter Zack Greinke. It appears on the surface to be a fluke considering Kelly is one of MLB's worst hitters and Greinke one of the better pitchers. It wasn't. Kelly had actually had some success in the past against Greinke, going 3-for-8 entering the game. Oddly, he has similar success against a tough right-hander with the Indians, Justin Masterson. He has a career OPS of 1.230 against Masterson. Why? Because the one pitch Kelly can hit is a low inside fastball, especially a hard two-seamer. For most hitters, it's a difficult pitch, actually an outpitch for right-handers against left-handers. Yet, for forever reason, it's the one pitch Kelly can rake consistently. It's similar repertoire to what other pitchers Kelly has had success against like Edwin Jackson. - The Tigers needed this. It was looking a little gamey after the series against Tampa Bay and the big first inning by the Dodgers tonight. This is validation of how good the Tigers are, and while they remain flawed, they are still top contenders to win it all. The Dodgers are arguably the best team in the National League. The Tigers pouring it on them like this is definitely a terrific sign. - Every time I expect Rajai Davis has slowed down and is playing to his track record, he has a game like this. He's been an excellent signing for the Tigers. - Nice comeback for Justin Verlander in this game. It's more proof his competitive character isn't exactly lacking. Justin Verlander's outing tonight is, obviously, alarming. He showed signs of turning it around in his previous three outings, and tonight has definitely been a setback. There is a perception Verlander's problems are velocity related, that he has thrown so many pitches down through the years, that he has used up his quota, so to speak. I don't agree with that. If you look at this game tonight, his biggest problem is his off speed pitches aren't crisp at all. His changeup used to be one of the best in MLB. But now it isn't even a mediocre pitch. It's certainly not something he would use to pitch backward and use to set up his fastball, like he did so often in 2011 and 2012, and during the postseason last year. Also, he throws an inordinate number of hanging breaking balls. His velocity isn't nearly the same issue as location of his fastball. He misses the plate or is down the middle. Also, he needs to pitch more inside. Hitters are diving out over the plate too much. It's all made his pitch pattern more predictable and Dodgers' hitters were all over him in the first inning. Verlander is coming off major off season surgery on his core. It seems to be taking him longer to comeback than it seemed because he returned so quickly in spring training. The good part is there is no sign he has an arm or shoulder injury. I'd still bet he'll turn it around, but it may not be sooner instead of later. 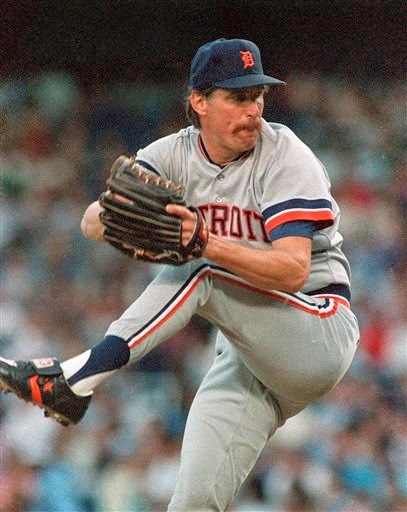 Rick Porcello has pitched back-to-back shutouts, the first Tigers' pitcher to do so since Jack Morris threw three shutouts in a row during 1986. The streak by Morris was broken up, ironically, because of a ground ball that went the Tigers' shortstop Alan Trammell's legs in the next game for an error, leading to an unearned run. It happened in the first game against Minnesota, scoring Kirby Puckett. Tom Brunansky hit the ball. Morris then didn't allow another run in eight innings that day at Tiger Stadium. Then he pitch five innings of scoreless ball in his next start, also a win, at Cleveland until he finally yielded an earned run. 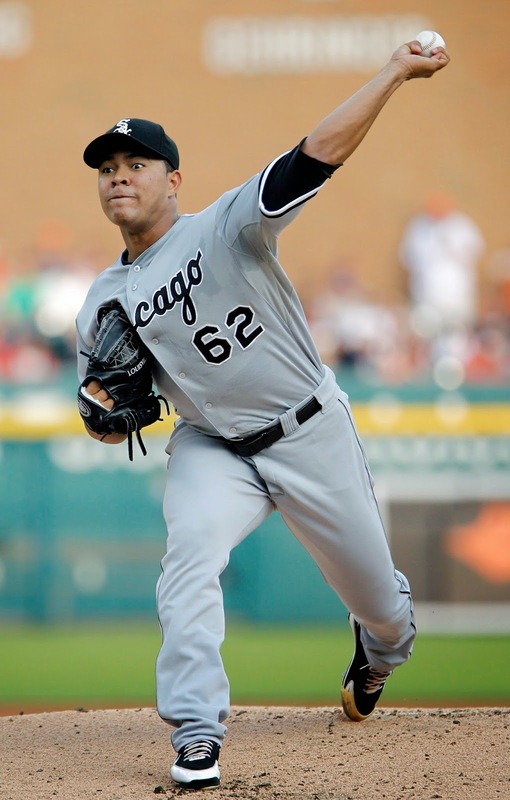 He had pitched four scoreless innings to conclude his last start vs. Texas before his shutout streak began. Added all up, Morris threw 44 consecutive innings without allowing an earned run. It was unusual from the standpoint of Trammell's error. He rarely made that type of error, It was very much a routine grounder that got between his wickets. 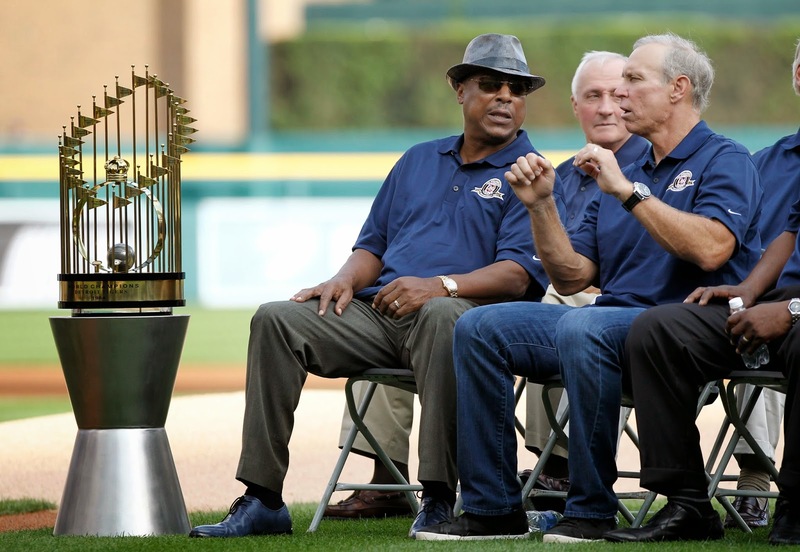 It also points back to the celebration of the '84 Tigers Monday on the 30th anniversary of their world title, and how their current team has been tied to them recently. Rajai Davis' walk off grand slam to spur the Tigers rally from three runs down Monday was the first since Trammell vs. the Yankees in '88. - Loved the barehanded play by A's third baseman Josh Donaldson. Sometimes, I see his high WAR as a classic example about how the Sabermetrics statistical measure is still somewhat off, but I'm not so sure that applies in his case the more I watch him play. He does have great value defensively from a traditional scouting standpoint, too. - Soft-tossing lefty Brad Mills is tailor-made for J.D. Martinez. That home run, a genuine bomb, was no surprise. He would have to be in the lineup tonight even if Victor Martinez wasn't hurt, right? Torii Hunter still looks like the odd man out eventually.